This is a concept for an inexpensive, but not free, lunch. Converting proven technology can dramatically reduce the serious harms from oil tanker spills and their fires and lower the cost of oil and gasoline by reducing the cost of oil shipping insurance. FINANCIAL BURDENS Insurance companies fight for decades to keep from paying multi-Billion dollar court settlements such as that following the EXXON Valdez incident in Alaska. Oil tanker ship owners cannot be eager to sign bigger and bigger checks for the rapidly increasing insurance premiums for oil tanker spills. Both of these industries stand to realize significantly lower costs and correspondingly higher profits when a reliable, inexpensive improved method of preventing and reducing tanker oil spills is found. VISION Ideally, when an oil tanker runs aground or into another ship it shouldn’t spill any oil at all – no matter how severely the hull is damaged. A viable solution should not be expensive, yet should return a significant reduction in the amount of oil spilled and its inherent liability. How can we achieve that? Military and general aviation aircraft have used rubberized fuel tank bladders (liners) since the late 1940’s primarily to reduce the possibility of fire and explosion. The liners also reduce fuel leakage. RACE CAR FIRE PROTECTION Until the mid 1970’s, gas tanks for racing cars were simply a rigid metal tank welded or riveted together. The same as any Ford or Chevrolet you buy today. Nearly every time one of those racing cars hit something in an accident, the metal fuel tank cracked or leaked gas onto red-hot exhaust pipes. More often than not a large fire ensued. Many drivers were severely burned in accidents. Dozens burned to death. To combat this problem fuel-tank-liners were introduced in the 1970’s. A fuel-tank-liner is like a very tough water-balloon. It is a rubberized liner put inside your gas-tank to store the fuel. They are made from the same tough and flexible material used in white-water river rafting boats. Now, when a race-car hits something, the external metal tank might be torn, split, cracked or broken – but because of the inner liners’ flexibility, only rarely will the liner itself tear and allow fuel to leak. When they do leak, the amount is minimal in all but the most severe accidents. In the years since the fuel-tank liner has been in use in racing cars, dozens of drivers have been spared from burning to death. Fuel tank liners are required equipment today. Death from racing car fires is a fraction of that before the 1970’s. The increase in fire safety for race car accidents is a direct result of the fuel-liners not allowing as much fuel to leak. KITCHEN ENGINEERING Take two wine glasses. One glass is filled with water. The second glass has a food-baggie in it and the baggie is filled with the water. Next, with a sharp ice-pick, strongly poke each glass. The first glass will break and all the water will instantly spill out. The second glass will also break, but very little water will leak out compared to the glass without the baggie. At worst – a small hole will be poked in the baggie or torn by the sharp edges of the remaining glass. The water that does leak will leak at a significantly slower rate than that of the unprotected glass. A small commercial example of this bladder/liner principle is the “Wine-in-a-Box” which has a double layer plastic container (mylar for strength and polyethylene for elasticity) inside a cardboard box. If you drop this filled “box” from a height such as 100′ onto sharp rocks, the cardboard box may be damaged, but the inner liner will rarely tear or burst. If the liner does tear, the amount of wine spilled and the rate it escapes will be small. Think of the difference between an Oak and a willow tree in a hurricane. The willow bends and remains alive and standing after the hurricane; at best the Oak loses major branches, at worst the whole tree is broken off. WHAT ABOUT LINERS FOR OIL TANKERS? Now, suppose two supertankers run aground on the rocks at Waikiki Beach in Honolulu, Hawaii. Which one do you suppose would leak less oil? 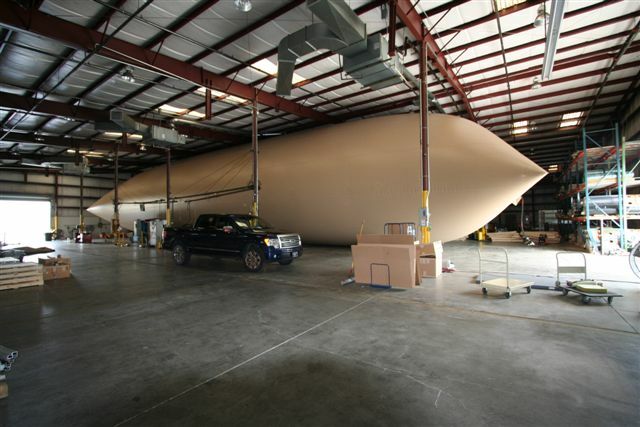 A tanker with a big tough baggie (bladder/liner) inside its hull? or the tanker without such protection? A steel oil-tanker hull is far stronger and thicker than a wine glass, a race car fuel tank or the skin of an airplane wing, but the principle is identical – just bigger. They all have a rigid shell with a tough flexible bag inside to hold the liquid. Even though supertankers hulls are inches of steel, when they run aground (468 times in 19881) or into each other (371 times in 19881) they are almost as fragile or brittle as a drinking glass. Double Hulls for oil-tankers were a hot item in the press in the mid 1990’s. Unfortunately, they are extremely expensive. Retrofitting takes a profitable ship out of commission for 6-8 months. And double-hulls have yet to demonstrate they can significantly reduce or prevent oil spills. Consider this experiment. Lets repeat the test of dropping the “Wine-in-a-Box” 100 feet onto sharp rocks, but this time let’s simulate double-hulls by making a second-hull of cardboard and removing the plastic “baggie” so the wine is up against bare cardboard only protected by the double-hull cardboard. Now let’s drop it once again 100 feet onto sharp rocks. How much wine do you think will escape this time compared to the test with the normal cardboard “Wine-in-a-Box” with its double plastic liner? COSTS The fuel liner cost for a $150,000 small private plane (like a Bonanza) is between $4000 and $6000. Oil tanker liner costs could be expected to be scaled up in relation to liner surface area. One could also expect a large percent reduction in fabrication and insurance costs because of the less stringent needs and regulations on ships vs aircraft. INSTALLATION & MAINTENANCE Aircraft installation is made very difficult by the requirement that the liners be rolled up and pushed through tiny holes in bulkheads. Because of the wide hull openings, this is not expected to be a problem with ship installation. Aircraft fuel liners are generally easy to repair. Because of the relative ease of access, tanker liners should be even easier to repair. IMMEDIATE RESULTS Liners should significantly reduce the amount of oil spilled in two ways. First, when there is a tanker grounding or collision, the likelihood of the liner leaking should be on the order of one tenth the amount of an un-linered ship. Second, if they ever do leak, the leak should be much easier to stop because the leak is so much slower. With a significantly reduced probability of oil loss from an accident, insurance for oil tankers might be enough less expensive that the liners could pay for themselves in a few months in reduced insurance premiums. It is entirely possible liners could be retro-fitted into any existing oil-tanker in a few days. To save time and money it is likely they could even be installed while an empty ship is at sea in transit. FIRE SAFETY Additionally, liners should greatly reduce the risk that a fire would ever start, like the front page and evening news tanker in the Gulf of Mexico in June 1990. Additionally liners should minimize the size of a fire should one start. PROBLEMS Perhaps no oil transport scheme will ever be 100% safe from spills. Certainly there will be some minor problems to overcome in developing the liners, but all the concerns identified to date are relatively simple engineering problems which have mostly already been solved by the aircraft industry. For example sloshing is reduced with the use of internal baffles. All major conceptual roadblocks have been solved by the aircraft and auto racing industries. The 50 year track record of the liners in aircraft speaks for itself. 1. Could reduce yearly spill volume from all tankers using them by as much as 90% or more. 2. Could cost as little as 1/20 of double hull retrofitting. $1.5 million US vs. $30 – $90 million for double hull retrofit. 3. Could be installed as much as 20 times more quickly than double hulls. This technology has been used with unarguable success for more than 50 years in military and private aircraft, and for 30 years in the automobile racing industry. Its use in Oil Tankers, or at the very least – its testing, is seriously overdue. The pros and cons need to be formally discussed ASAP. References 1. U.S. Coast Guard statistics for 1988. This entry was posted in Engineering, Physics, Public Interest Donation, Simple Solutions Ignored and tagged aircraft, Double Hulls, Formula One, fuel tank bladders, liners, Oil-Tanker Spills. Bookmark the permalink. It took me a while to feel comfortable with this idea, but it now seems like this could really work well. I appreciate how it is proven technology in other fields. Is the Coast Guard still studying this? The last time I checked was years ago. While I’d be delighted to find out the Coast Guard was studying this, I’d also be surprised. Be my guest – ask the Coast Guard and your local congress person. By the way Ready Containment, LLC. built the 150,000 Gallon Bladder tanks.